The old saying about Karma says that what goes around, comes around. These particular pictures show that when you don’t treat people with the utmost respect, when you decide to ignore their wants and feelings, you are going to find yourself on the pointy end of Karma’s long spear. That’s never a good thing, because Karma likely won’t kill you, but it will certainly make things hurt a little bit. Sometimes Karma will get you just by causing you a great deal of annoyance. Other times, it will get you by bringing a great amount of embarrassment and on the rare occasion, Karma will cost you some serious coin. 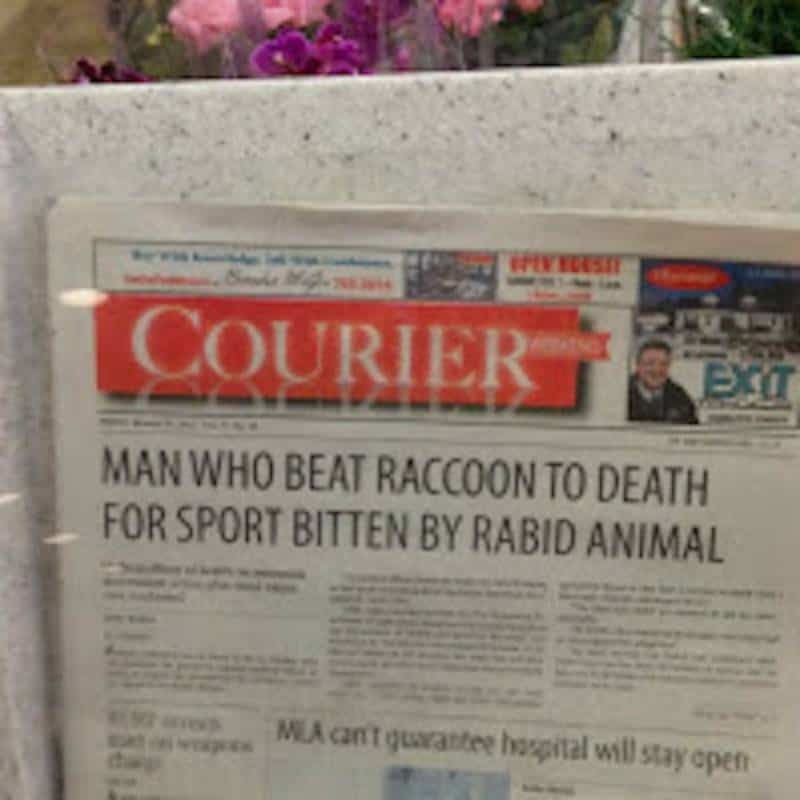 Check out of list of 10 hilarious examples of instant Karma that’ll you leave you satisfied. Props to this particular wife who found a way to burn her husband and his mistress, all while looking like she was indeed above it all. 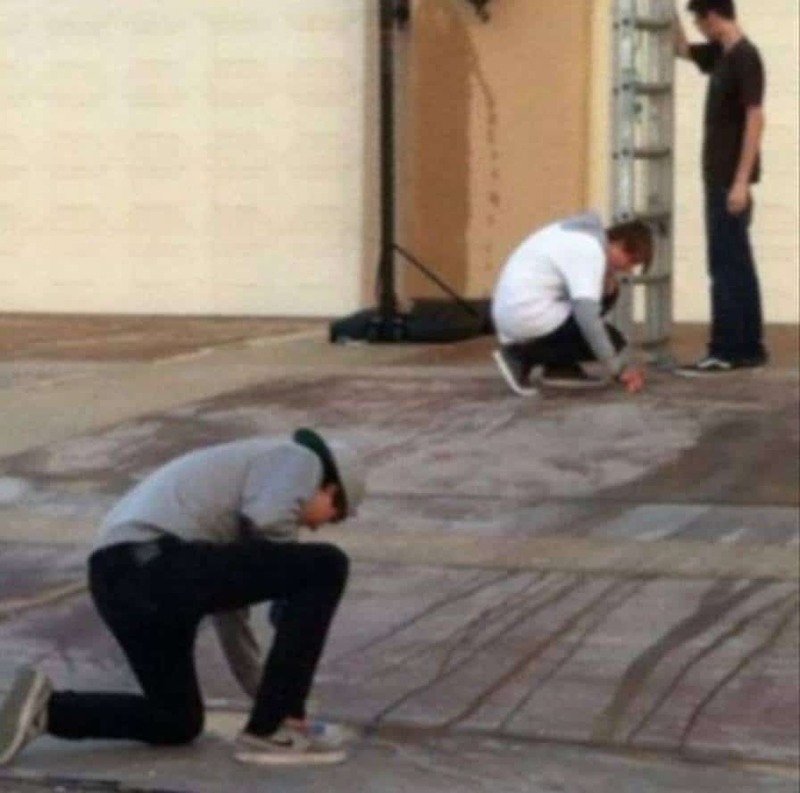 This picture is of kids who egged a man’s house and then got caught. The man made the kids clean up the mess they made. 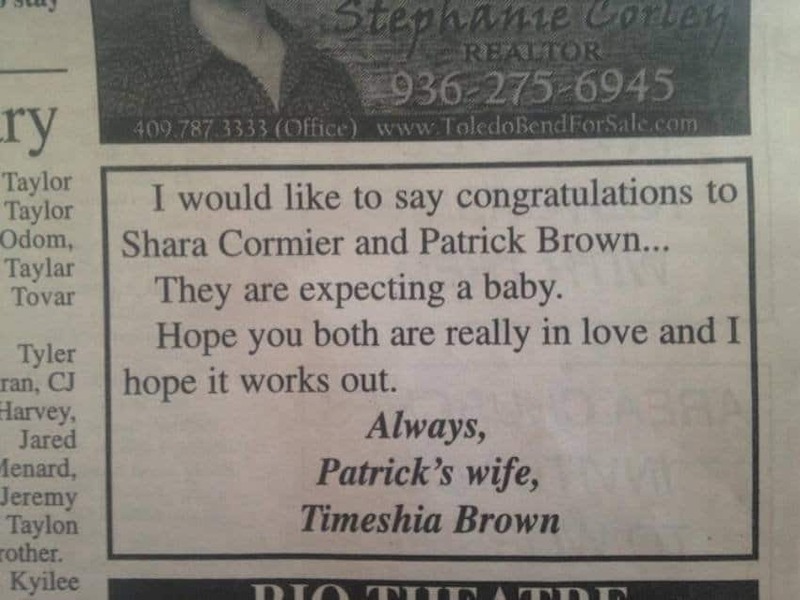 If you thought the wife who filed the newspaper ad was impressive, check out this billboard. Of course, the twist of the knife is when she announces how she paid for the billboard. 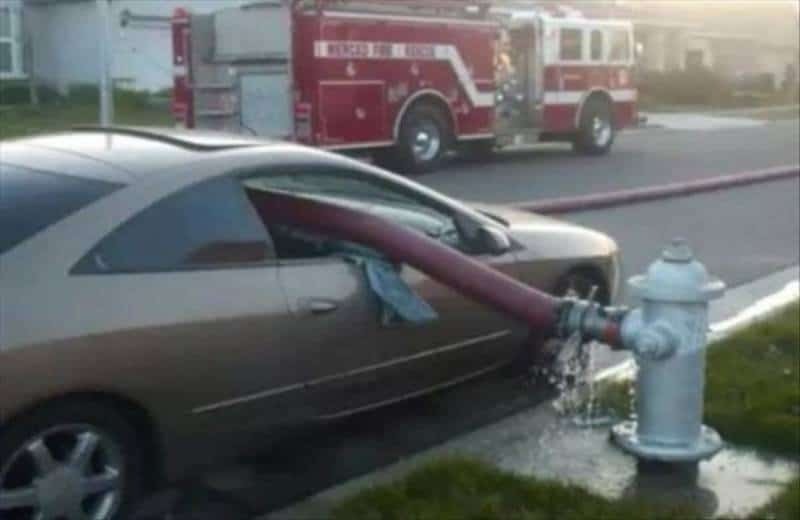 You know the old thing about how you’re not supposed to park in front of fire hydrants? This driver found out the hard way what happens when you do and there’s a fire. 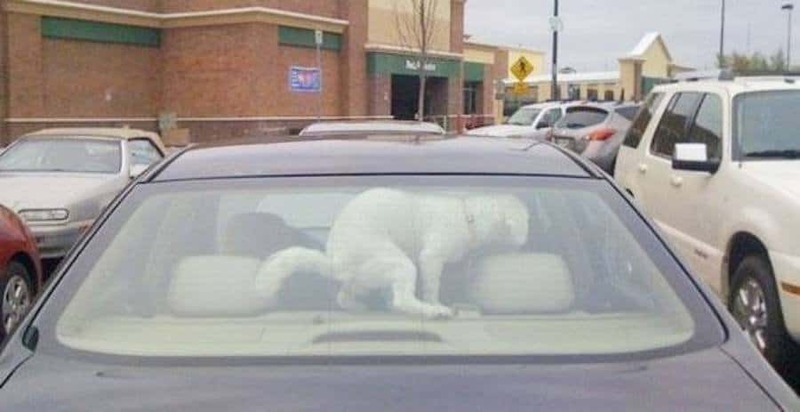 Not only can leaving your dog in the car cause them harm, if its too hot or too cold, but when they’ve gotta go, they’ve really gotta go. One has to wonder if the police and firefighters have a bit of a feud going on. 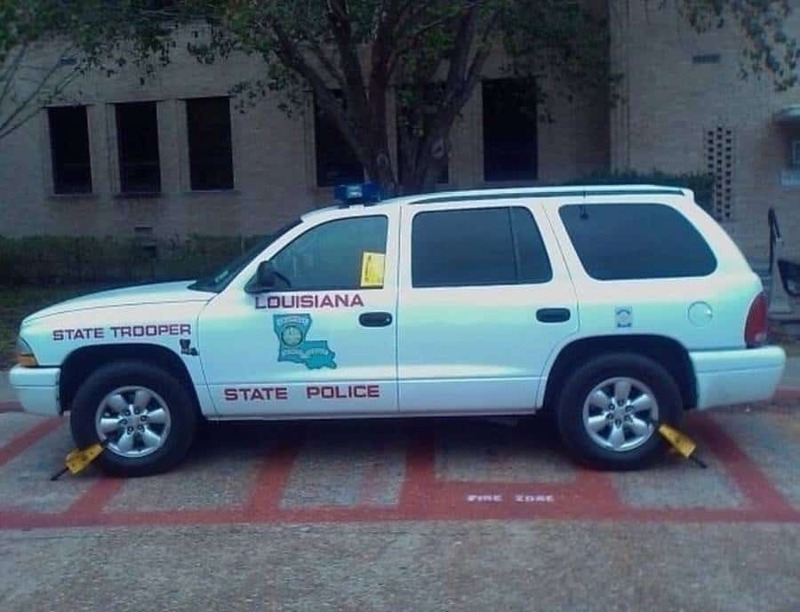 You’ll notice where this cop car got booted. This girl gets it. 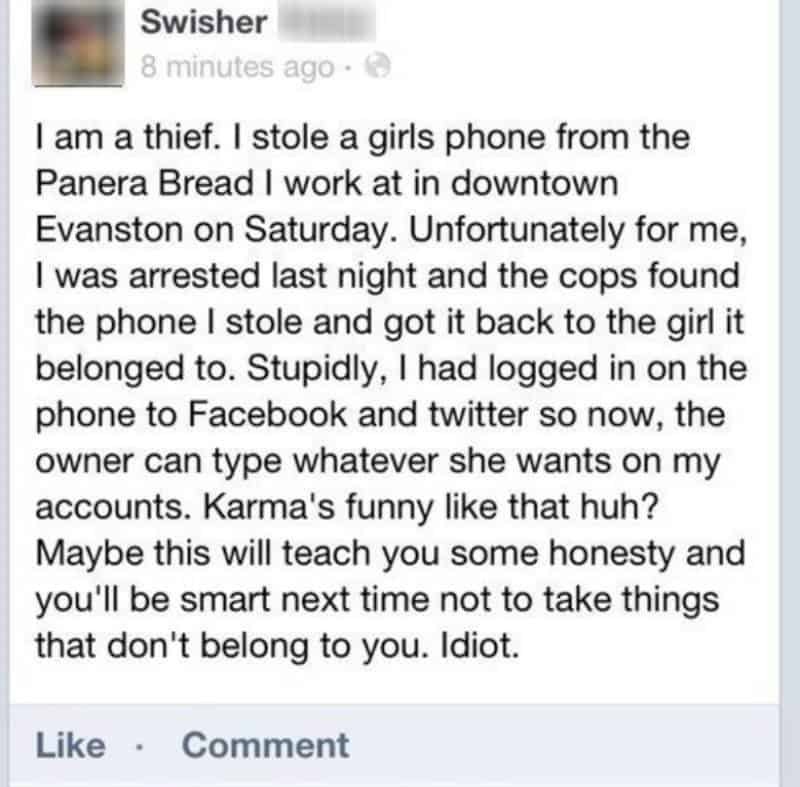 If you’re going to do something as low as stealing someone’s phone, you are going to pay the price. That’s especially true when you log into social media on the girl’s phone and then get caught. Don’t beat animals to death for fun. Just don’t. If you do, this could happen to you. Even Parking Enforcement has to obey the rules of the road. 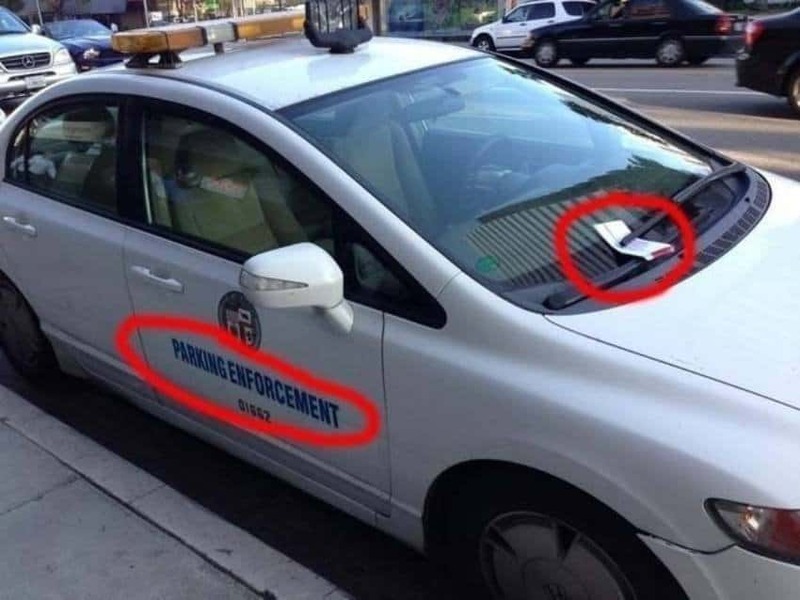 It appears this parking enforcement officer forgot that. If you are going to park where it clear says you should not, then prepare to pay the price. 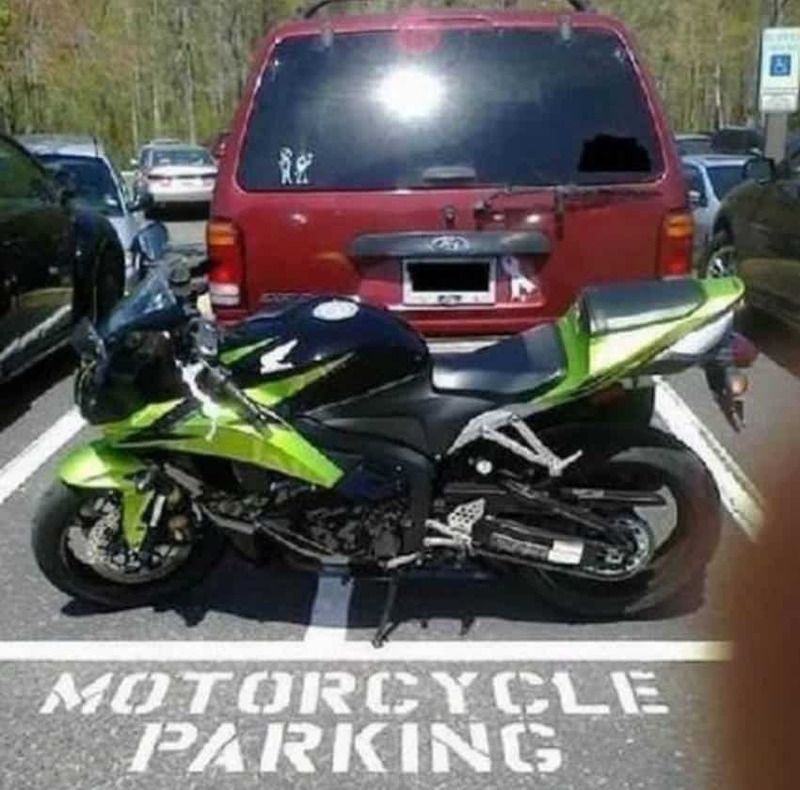 We applaud the motorcyclist who parked the car in, after they tried to take his spot.